Tek is an Italian company that produces 100% FSC certified wooden brushes, combs and other products that are a must-have item for every hairdresser. With a special attention given to environmental protection, every single component of Tek’s wooden products have been crafted following sustainable principles. Tek’s products combine Made in Italy craftsmanship and technology, without ignoring design and fashion, and have been dedicated to different cosmetic and beauty market areas like beauty salons, perfumery, herbalist’s shops and pharmacies. Based on an idea of Giulio Valsecchi, TEK was born in 1977 and entered into the Italian market with a patented, unique product: a brush with wooden bristles. The material choice was made on the basis of its highly specific qualities, ideal for beauty and health of both hair and body. TEK was immediately confirmed as an innovative and award-winning company. Its products were exhibited at the MOMA (Museum of Modern Art) in New York City, and the company also received an award in the Honour Selection of the Gran Design International Exposition at The Museum of Science and Technology of Milan. In 2000, to reinforce their leadership in the professional sector, TEK created their TEK Ceramik System: the first brush to use aerospace technology in order to guarantee that professional hairstylists will get the perfect brush. TEK Ceramik brushes are the result of an innovative technology: on the roll there is a unique ceramic silicon carry-over applied by special laser technology. TEK’s products are 100% hand-made in Italy, and are characterized by high quality standards and a particular attention to design and trend without neglecting the traditional craft that distinguished our country time-after-time. Craftmanship: every accessory is handmade by a qualified Italian staff member in order to guarantee an overall production system that works with higher ethical standards, avoiding the use of child labor. Attention to details: all items are individually controlled before packaging. Attention to the environment: all wood used in the development of products comes from sustainable in an effort to avoid wild deforestation. Quality: TEK continues research into new technologies in order to constantly create more innovative products. Beauty: a fashionable color palette and a sophisticated design make TEK’s products unique. TEK doesn’t only produce only under their own brand, but has developed partnerships with renowned companies such as Emporio Armani, L’Oreal, Kerastase, Wella, Victoria’s Secret and many others. TEK's research center is constantly developing technologies that will reach new levels of innovation. In 2000, with the birth of the TEK Ceramik System, TEK created the first brush to use aerospace technology that can guarantee a perfect air styling. Today, Ceramik Antibacterial is the first brush to eradicate bacteria in order to better serve professional hair stylists. The finishing part, hand made, is realized on the base of sustainable principles with the use of linen oil and bee wax colored with vegetal aniline. 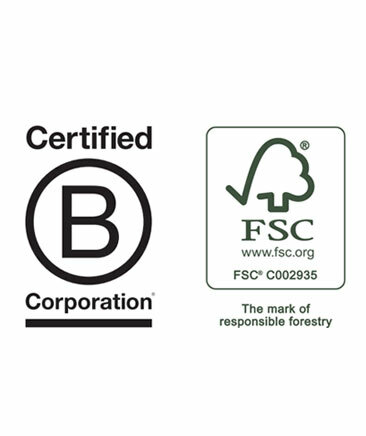 All TEK’s products are certified FSC®, Forest Stewardship Council, a mark that identifies products which contain wood coming from forests managed correctly and responsibly according to strict environmental, social and economic standards. In March 2017, TEK added the prestigious B Corp® Certification. B Corp® companies are for-profit companies who have chosen to go through the evaluation process to uphold the meticulous standards of social and environmental performance, accountability, and transparency. All products of the Ceramik line are tested by ISTEC-CNR, Institute of Science and Technology for Ceramic Materials – National Research Council, which certifies that the products are coated with ceramic material based on aluminum oxide. Tek also uses Pure Energy, RECS certified electrical energy, and participates in the development of energy production from renewable sources such as sun, wind and water. The continuing growing into the discover of always new technologies ensures TEK will constantly improve the quality and style of its products, creting beautiful and performant accessories. TEK continues with immense passion to propose to professional hair stylists (B2B) as well as individual clients (B2C) products which are more and more efficient. Abroad, where the “Made in Italy” is a guarantee of high-quality products and beauty, the TEK’s products have been accepted with enthusiasm; TEK is in more than 80 nations in all the five continents, TEK has been able to spread its love for the beauty and health of hair and for the nature all over the world. In February 2017 TEK approaches the US market and opens its e-commerce aimed to the US B2C and B2B customers.